With the increasing demand for environmental protection in the country, the oil industry has also raised the call for cleaner production. It has put forward processing requirements for the waste mud generated during the diamond oil drilling process and completion fluid after completion, and must meet the national emission standards. Allowing emissions, therefore, in the first two years, the mud non-flooring system showed a blowout-type development, and a large number of mud non-landing technologies and treatment solutions emerged in the country. As the market continues to mature, the treatment process has gradually been unified. Crown can control the process and processing equipment has also been recognized by the majority of customers. 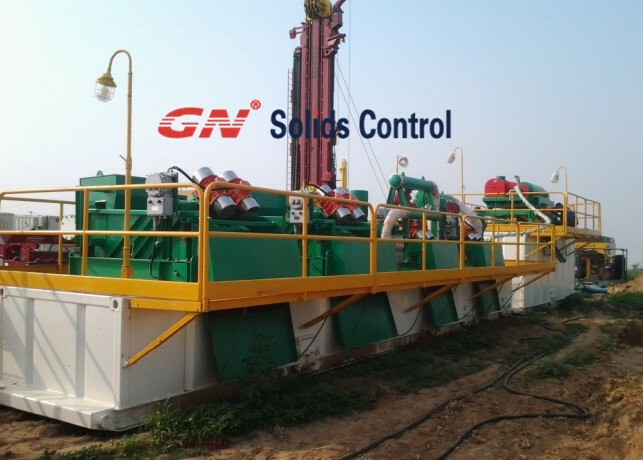 GN Solid Control is a leading manufacturer of domestic solids and mud non-flooring equipment. Product sales and applications in more than 70 countries and regions. GN solid-control products have been highly praised by customers at home and abroad for their advanced technology, leading technology, stable operation effect, and perfect and timely after-sales service. In response to the diversification of domestic oilfields and the constraints of wellsite layout, GN Solid Control has developed a modular, independent waste slurry that is adaptable to various environments based on many years of solid-control equipment and mudless non-floor system design and production experience. Processing unit system: This scheme places the rock chip dryer, centrifuge and drying screen on different sleys and lifts, respectively. This scheme can be applied to conditions where the geological conditions are relatively complex. The operator can randomly match different mud non-flooring equipment according to the different conditions of the waste mud, and maximize the use of resources as much as possible. The conventional mud non-flooring system mainly includes the following major equipment: a drill chip dryer module, a dry screen module, a centrifuge module, a material transport module, a dosing flocculation module, and a solidification module.